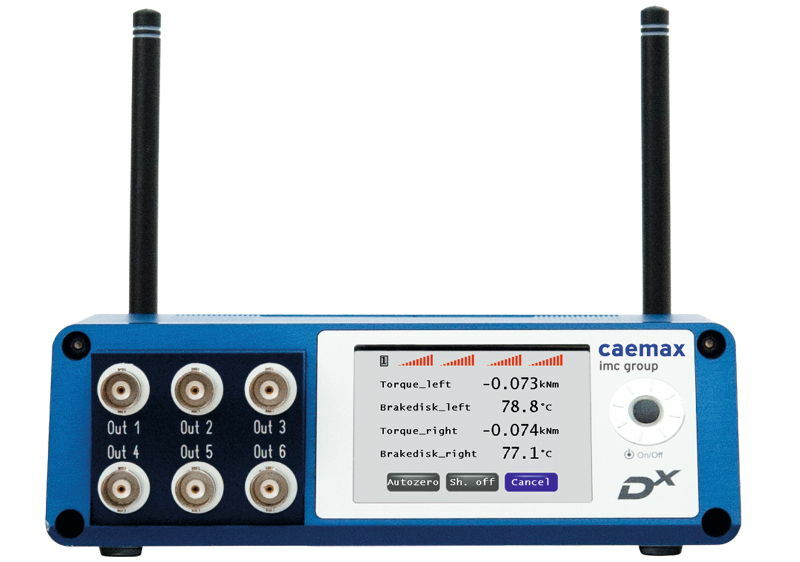 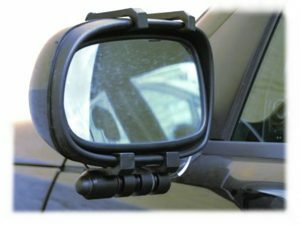 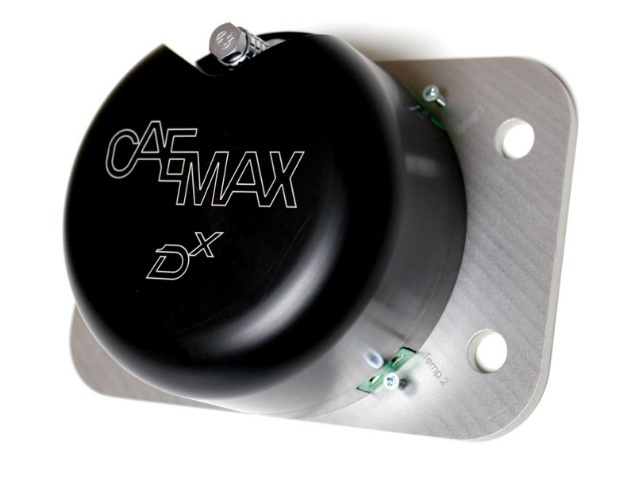 The CAEMAX Dx Telemetry is a high-precision tool to acquire temperatures and other measurement at the wheels of vehicles. 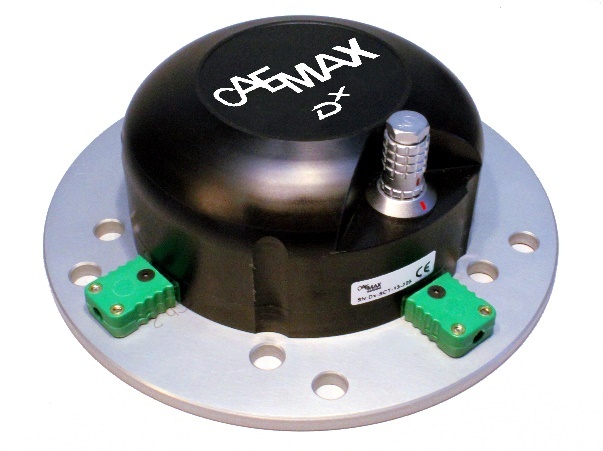 Robust transmitter modules slightly to be mounted predestine the system also for rough applications on the test track. 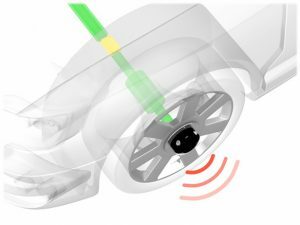 All measuring signals, like here the temperatures in the brake disc, are digitized directly in the wheels and are transferred wireless about the mirror antennas to the receiver unit RCI in the vehicle. 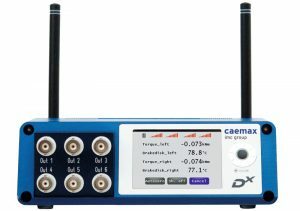 The receiver acquires the data of all 4 transmitter modules synchronously and spends this as analog signals or digital via CAN.